Ross Byrne makes the break as the defence re-enacts the parting of the red sea. Piula Faasalele has made 10 good tackles so far this game. Richie Gray has made 20 good tackles so far this game. 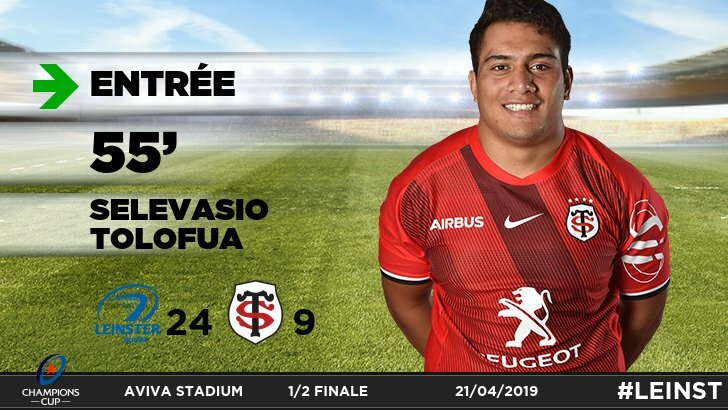 Selevasio Tolofua has made 10 good tackles so far this game. Leinster make a substitution with Rory O'Loughlin coming on. 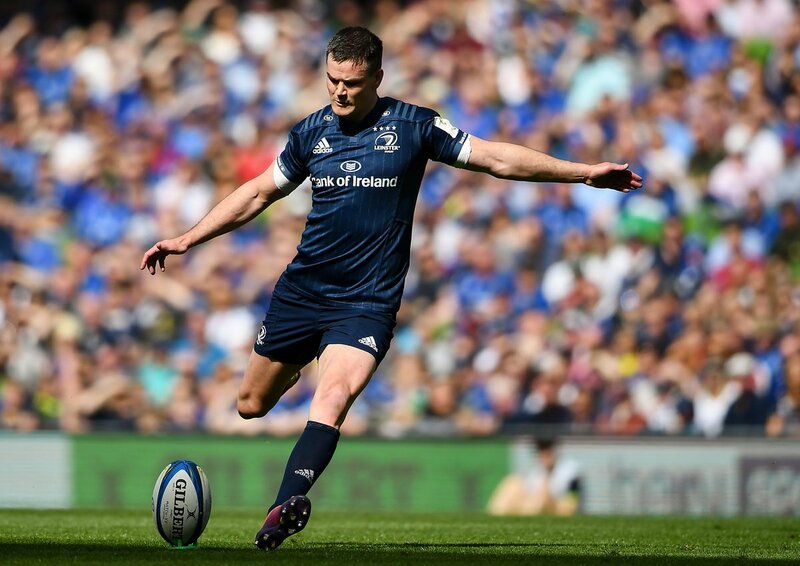 Leinster make a substitution with Robbie Henshaw coming off. Leinster sub Hugh O'Sullivan comes onto the field. 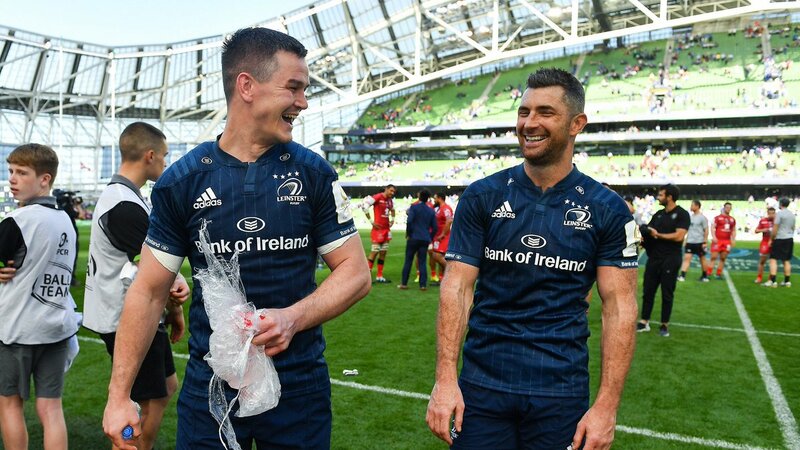 Luke McGrath departs for Leinster. Caelan Doris comes on for Leinster. James Ryan leaves the field. The Leinster supporters go wild as Ross Byrne successfully kicks the penalty goal. 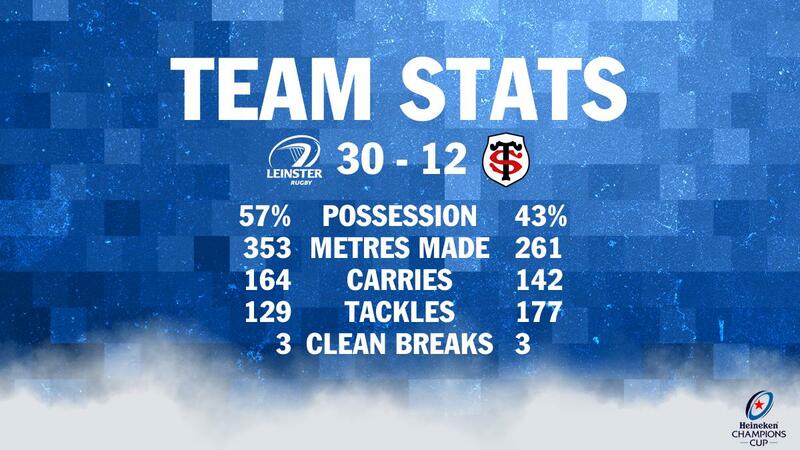 Leinster have won 120 rucks so far this game. Maks van Dyk has made 10 good tackles so far this game. Cheslin Kolbe has made 10 good tackles so far this game. 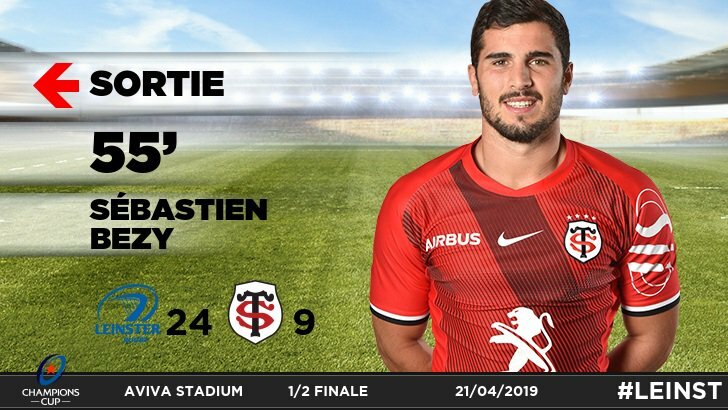 Toulouse have won 100 rucks so far this game. Antoine Dupont has made 10 good tackles so far this game. Robbie Henshaw has made 10 good tackles so far this game. Fabulous play by Leinster has led to Sean O'Brien being able to wriggle through a gap. Toulouse decide to make a substitution, with Guillaume Marchand getting some game time. 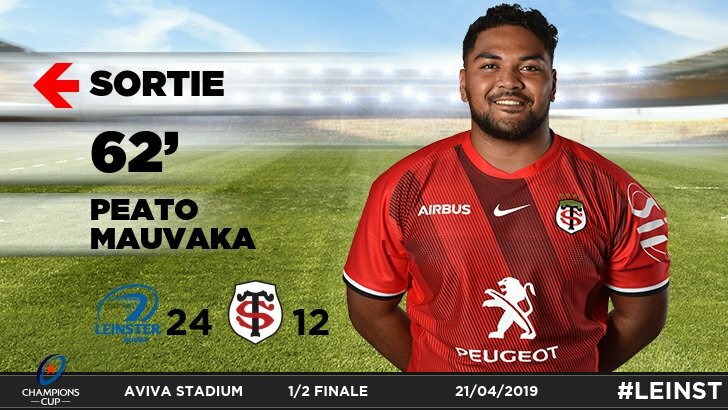 Toulouse decide to make a substitution, with Peato Mauvaka being replaced. 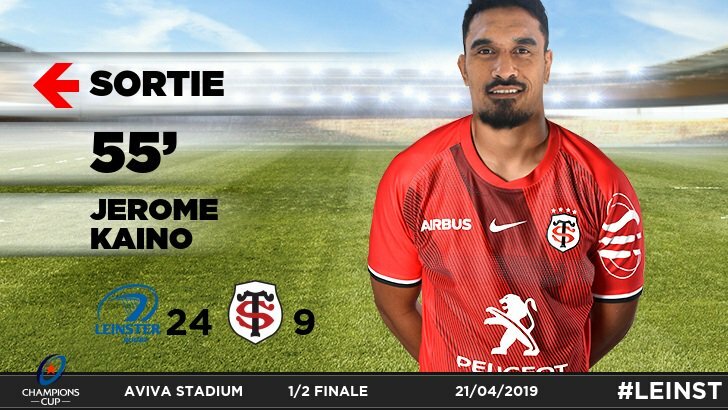 Toulouse make a substitution with François Cros coming on. Toulouse make a substitution with Richie Arnold coming off. Romain Ntamack adds the points for Toulouse. Leinster sub Ed Byrne comes onto the field. Cian Healy departs for Leinster. What a tackle there by Garry Ringrose as he saves a certain try!. 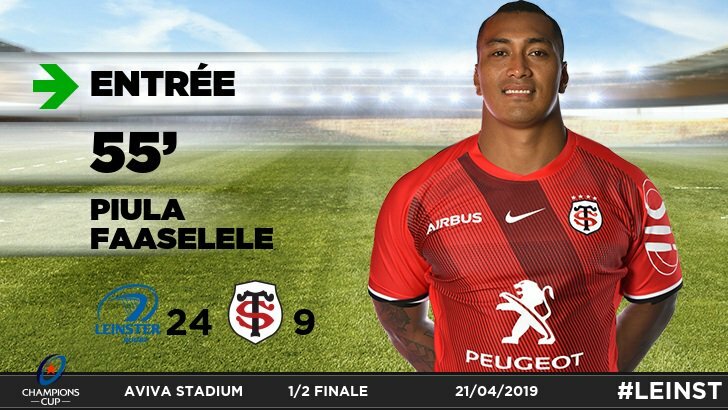 Toulouse have won 80 rucks so far this game. Sean O'Brien has made 10 good tackles so far this game. Garry Ringrose has made 10 good tackles so far this game. Toulouse have won 60 rucks so far this game. Maxime Médard comes on for Toulouse. Thomas Ramos leaves the field. 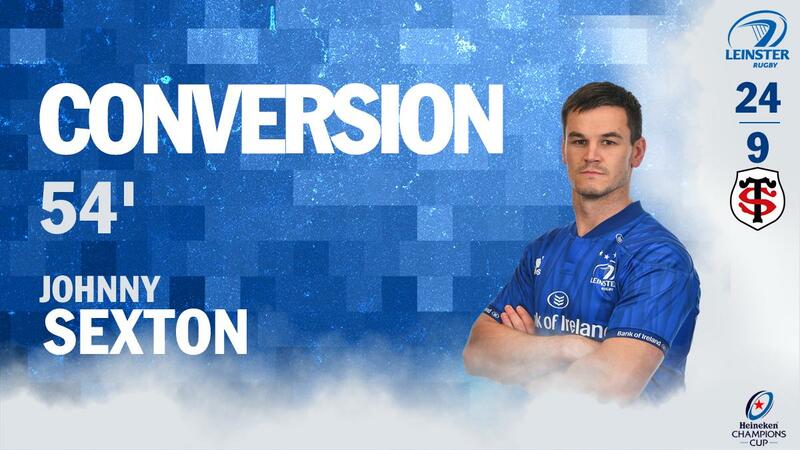 Johnny Sexton makes no mistake with that conversion attempt. That's a great try assist by Cian Healy. Leinster are only a few metres out, surely they must score! And they do with Scott Fardy touching down. Peato Mauvaka has made 10 good tackles so far this game. Richie Gray has made 10 good tackles so far this game. 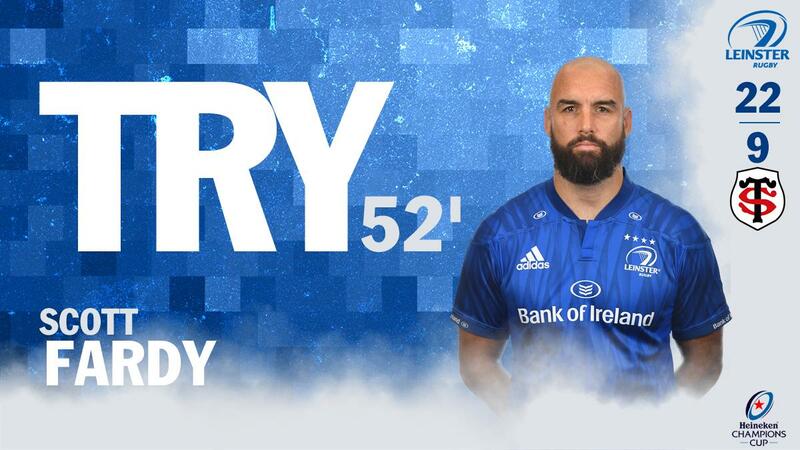 Leinster decide to make a substitution, with Scott Fardy getting some game time. 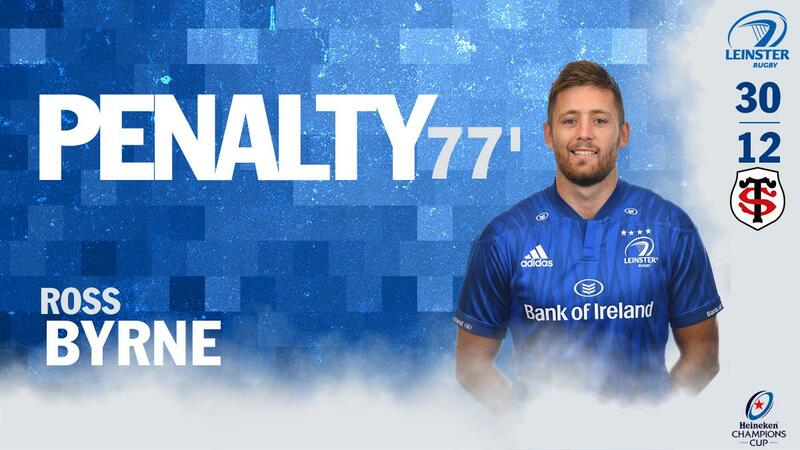 Leinster decide to make a substitution, with Max Deegan being replaced. Toulouse make a substitution with Maks van Dyk coming on. 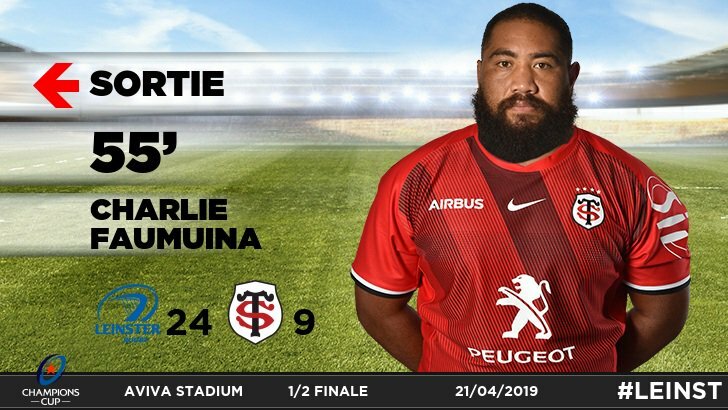 Toulouse make a substitution with Charlie Faumuina coming off. 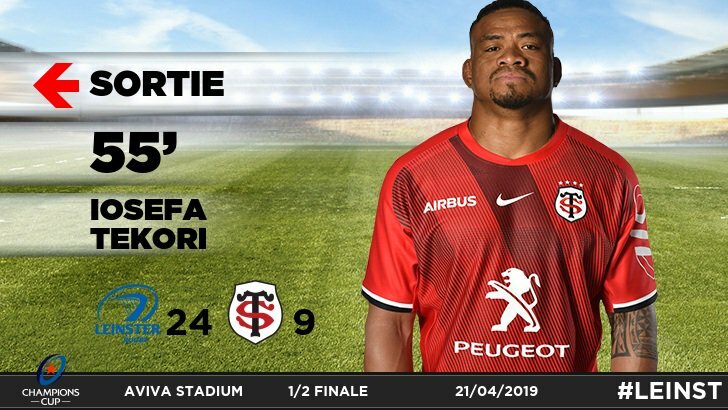 Toulouse sub Cyril Baille comes onto the field. 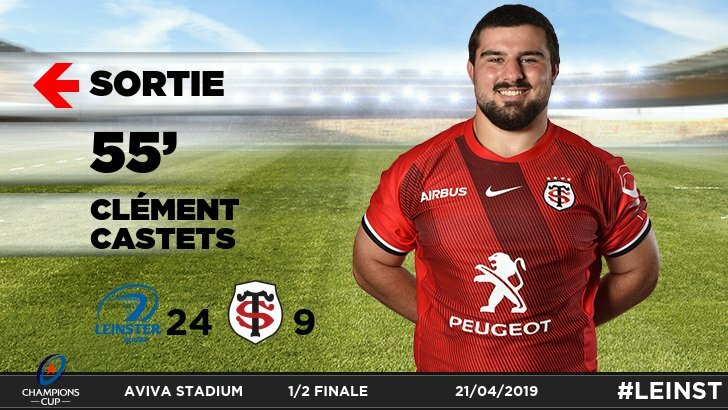 Clement Castets departs for Toulouse. Clement Castets has made 10 good tackles so far this game. Jerome Kaino has made 10 good tackles so far this game. Rynhard Elstadt has made 10 good tackles so far this game. Thomas Ramos does the business as his penalty goal attempt goes over. Trouble here as Thomas Ramos breaches the defence. Max Deegan comes on for Leinster. Scott Fardy leaves the field. Jack Conan has made 10 good tackles so far this game. Thomas Ramos makes no mistake with that penalty goal attempt. Robbie Henshaw (Leinster) is shown a yellow card. 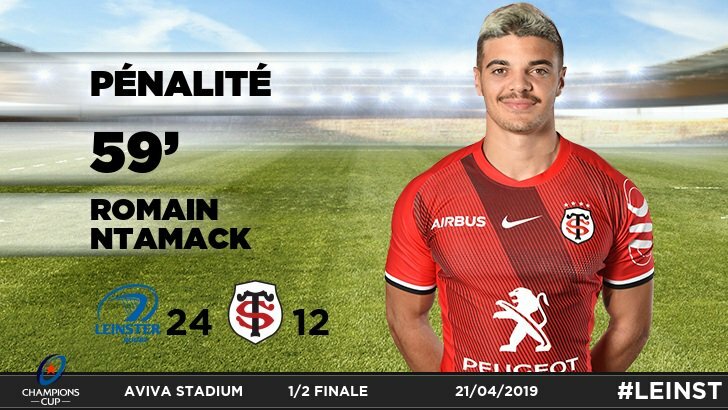 Toulouse have won 40 rucks so far this game. Johnny Sexton converts the try. 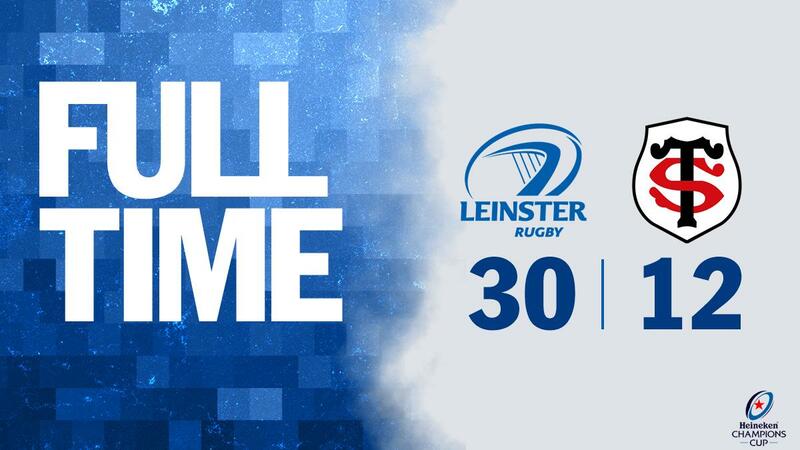 The Leinster pack has powered over for Luke McGrath to score the try. Richie Gray (Toulouse) is shown a yellow card. This is dangerous for the defence as Cheslin Kolbe bursts through to advance the Toulouse attack. Johnny Sexton has an attempt on goal with a drop kick, but it falls well short. 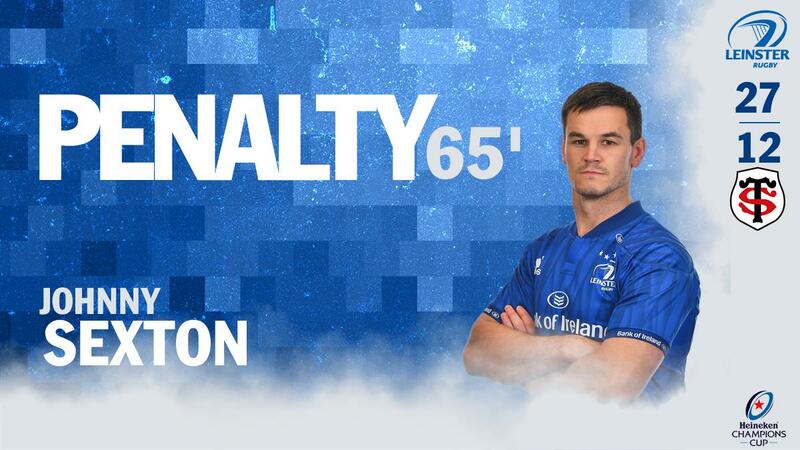 Johnny Sexton has kicked a conversion. A gap opened in the defence and James Lowe took full advantage. Sean O'Brien sets up the try. 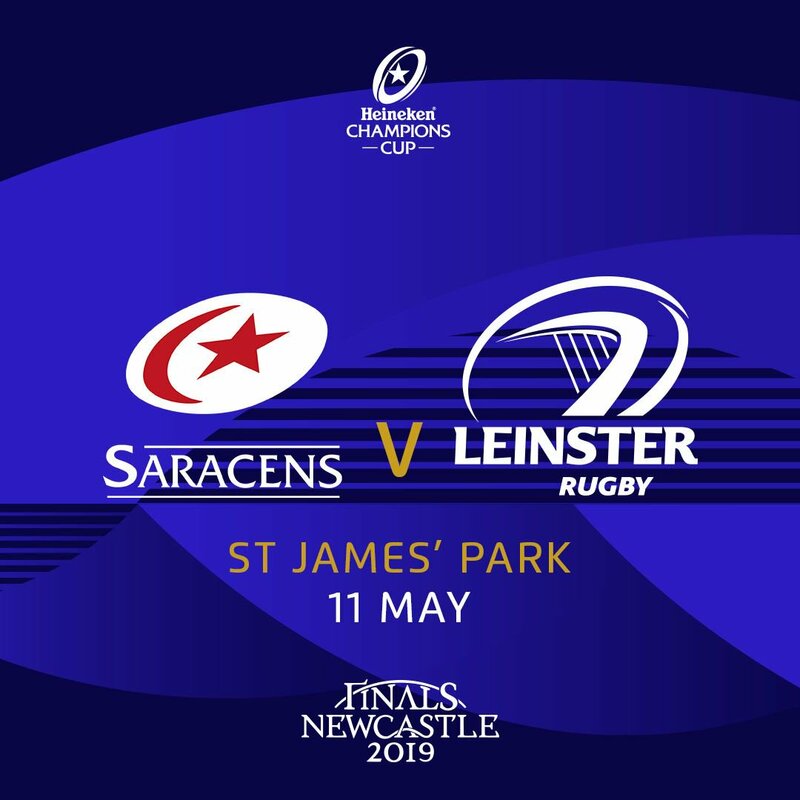 Great hands by Leinster leads to a try for James Lowe. Thomas Ramos has kicked a penalty goal. 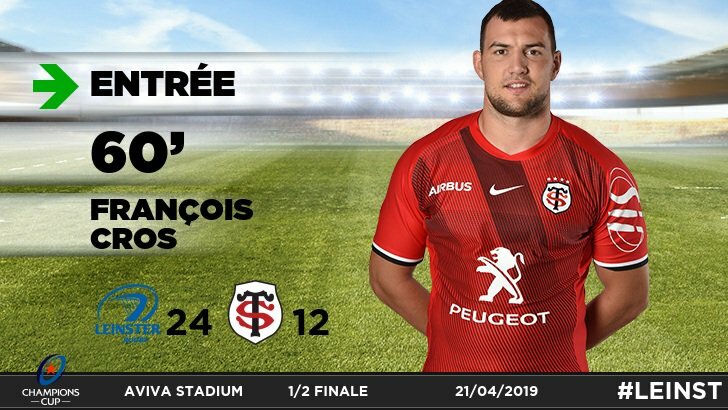 Toulouse have won 20 rucks so far this game. The defensive line has been broken as Cheslin Kolbe goes through the gap. 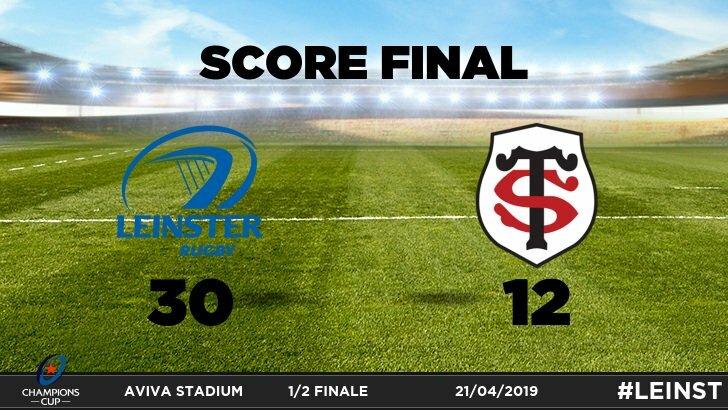 We're back in the final of the #ChampionsCup after victory over Toulouse in the last four. L'essai est malheureusement refusé pour @MaxMedard... L'Irlandais semble aplatir avant lui dans l'en-but.